Ceramic Fiber Braided Rope are dense, high performance packing fabricated from ceramic fiber yarn braided around a core of ceramic fiber rope either to form a packing in round or square section. 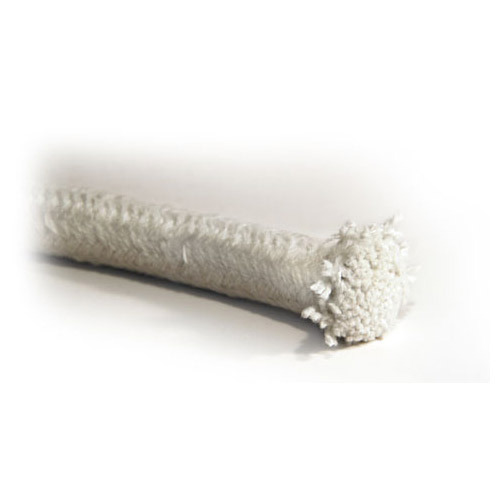 Ceramic fiber rope braided packings also contain reinforcement insert materials of either inconel wire or continuous fiberglass filament to increase handling strength during installation and enhance fiber durability to rated temperatures .Ceramic braided packing includes Ceramic fiber rope are dense, high performance packing fabricated from ceramic fiber yarn braided around a core of ceramic fiber rope either to form a packing in Round or Square section of desired sizes. Asbestos Centre is incorporated in the year 1996. We are engaged in manufacturing, supplying, distributing and exporting a wide range of Asbestos Products across the globe. Our range of products consists of Asbestos Industrial Packing & Insulation Products and Non-Asbestos Packing & Sealing Products etc. These meet the demands of textiles asbestos products, gasket products and friction products. We are aware of the specifications and needs of the customers and provide service to them accordingly. Our products are extensively used in assorted applications in different area. Our products are highly applauded for their features like resistance to corrosion, efficiency, optimum performance, excellent service, reliability, energy saving and durability.